Karen and Gavin bring skills and passion to the Bega Valley. Photos: Lisa Herbert. Alchemy is defined as the discovery of an ‘elixir of life’. One couple ‘North of Eden’ are close to finding this illusive decoction. Over the bridge in their own little Eden-like paradise a few kilometres out of Bega, lies the secret laboratory of a gin-distilling alchemist. Surrounded by shining copper accoutrements and appurtenances he devises and concocts his potions, following his secret recipe. 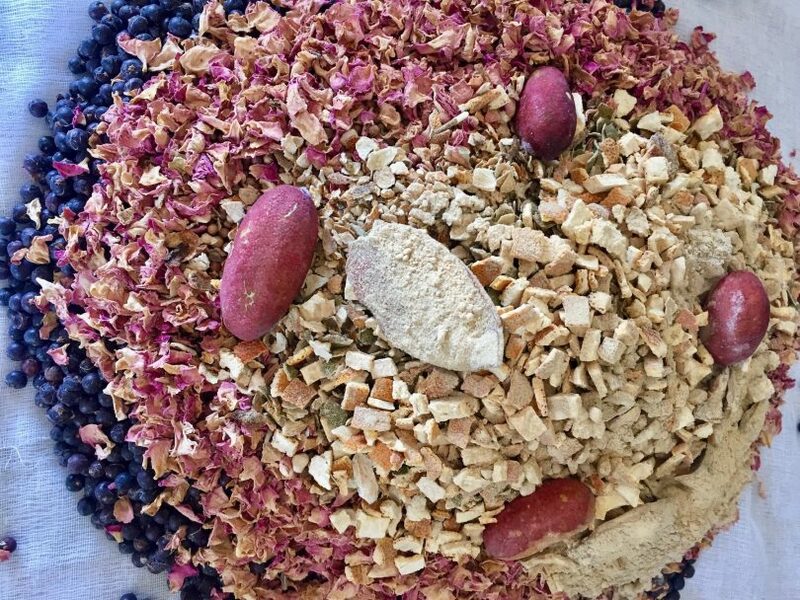 He gathers and measures the berries, petals, spices and peels, finger limes, locally foraged kelp, orris root, and other rare substances, and bundles them gently into a nest of muslin. They’re then placed into the distilling basket above a reservoir of high-grade spirit and enclosed in copper, the lid sealed with a hand-made paste of rye flour. Warmed from below, the beautiful copper alembic still then works its magic, as it has done since 800AD, and we the watchers sit back to wait. 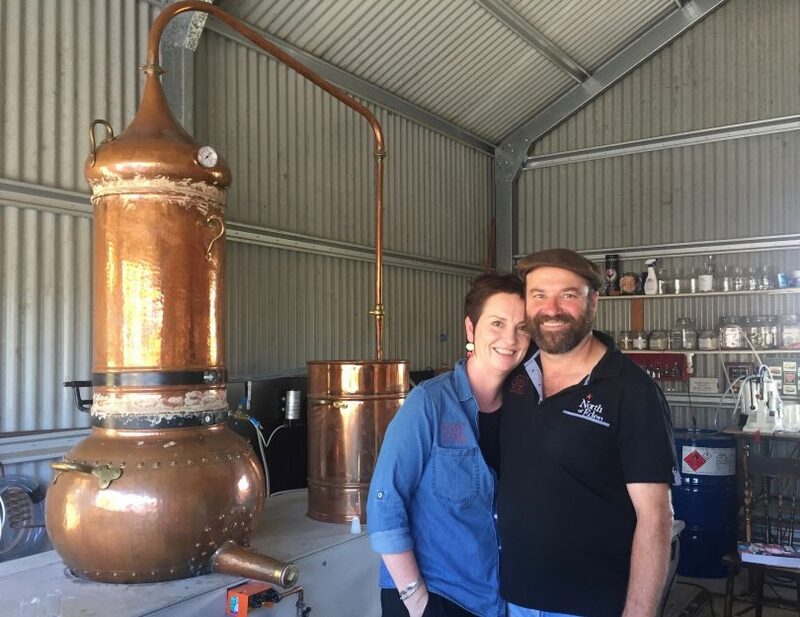 Chemist-turned-alchemist Gavin Hughes and his partner Karen Touchie arrived in the Bega Valley around 20 months ago searching for ‘a better quality of life’ – and North of Eden distillery was born. Like many who undertake a sea/tree change, Karen and Gavin bring with them skills and ideas that add to and enrich our local culture. When they met, Gavin was CEO of the Biofuels Association of Australia and Karen ran the climate change policy area in the Queensland Government. Gavin has also managed large distilleries and founded the Flinders Lane cocktail bar Lustre, so he certainly knows a bit about the fine art of distillation. Beautiful copper stills in the North of Eden distillery. After around an hour, the first trickle of clear liquid starts to emerge from the still. This initial liquid, known as the headings, is pretty much pure methanol. Gavin begins to taste the liquid until he finds the ‘heart’ of the gin, the place where the different botanicals are at their optimum. “First comes the juniper and citrus flavours, lighter and more volatile…then come the more vegetative flavours and oils. It’s like cooking, you have to know when to make the cut,” he says. Over the two to five litres that flows he tastes, smells and observes, this is the heart which is kept for bottling. The end liquid, known as the tailings, with its bitterness and undesirable flavours are discarded. While waiting and watching with the couple, I enjoyed an afternoon of education and gin-spiration. The alembic copper still that Gavin uses was designed in the 8th century by Arab alchemist Abu Musa Jabir ibn Hayyan, and used primarily for medicinal applications. It is much later in the 15th Century we find the first references to recreational drinking of distilled alcohol, ‘aqua vitae’. Once this caught on, production had to be sped up, industrialisation happened and the rest is history. Gavin hand selects his botanicals, growing some on the property, foraging for others near Bermagui. The Juniper comes from Macedonia. Following her lead, her husband Governor John Franklin outlawed the distilling of spirits in Tasmania and some of these laws remained until 1992. Prior to 1992, you could not be granted a distiller’s licence unless you had a wash-still of at least 2,700 litres capacity. 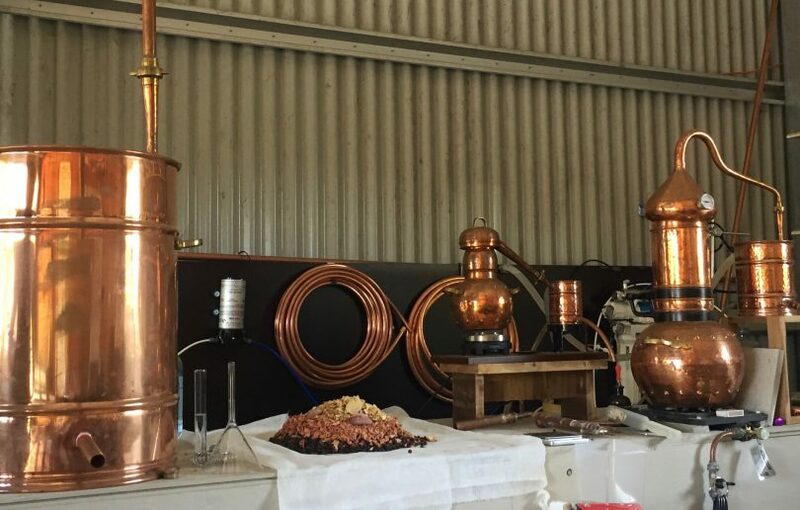 “It was Bill Lark from Tasmania’s Lark Distillery that successfully lobbied his local politician to get the reduction in still size to allow for a craft distilling industry to get established in Australia,” Gavin explains. There are currently over 150 gins being distilled in Australia whereas 10 years ago there were 12. The craft gin industry is generating billions in revenue and creating local jobs while winning international awards. The attractive French bottles and Italian cork stoppers surrounded by beautiful botanicals. But don’t think you can just get hold of a still and start printing money. The ATO requires anyone using a still to hold a licence, then pay the excise of $82 per 1 litre of alcohol at 40 per cent. You also need permission to own, buy, sell, or even supply the actual still. Then there are the beautiful bottles (French) and cork stoppers (Italian), so it’s definitely a labour of love. 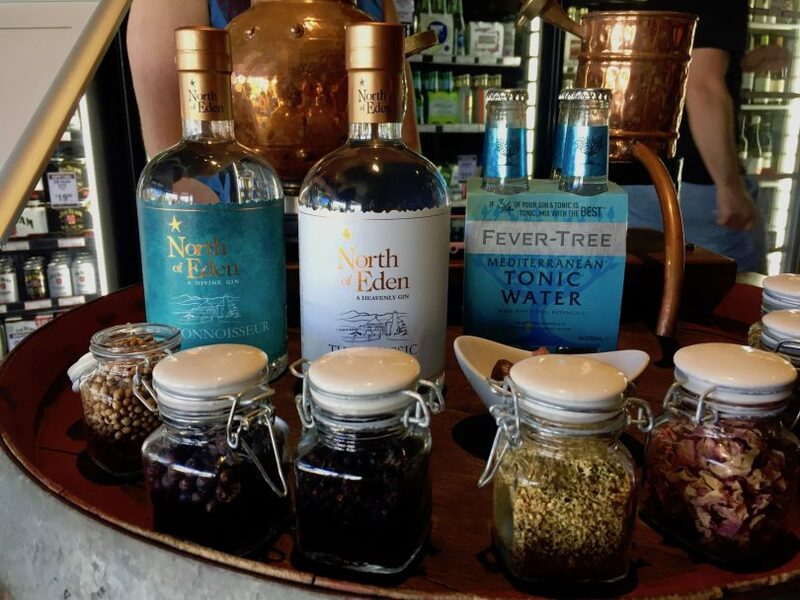 North of Eden make three gins: The Classic, The Connoisseur, and Navy Strength. Gavin and Karen explain Navy Strength gin must be cut at 57 per cent alcohol. The reason? Gin was historically transported in the holds of Navy ships alongside gunpowder, in case of leakage the booze had to be of a strength that allowed the gin-soaked gunpowder to still ignite. So what are some of the plans of this clever couple? “I’d like to make a gin as outstanding as Tanqueray 10”, the go-to gin for bartenders. There are also plans for a rustic-barn-housed gin school, where students could come and choose their own botanicals to create their own recipe and take home a bottle of their own distilled gin.” Sign me up! North of Eden gins are made in small batches and are currently available at Bermagui Cellars and Eden Cellars. 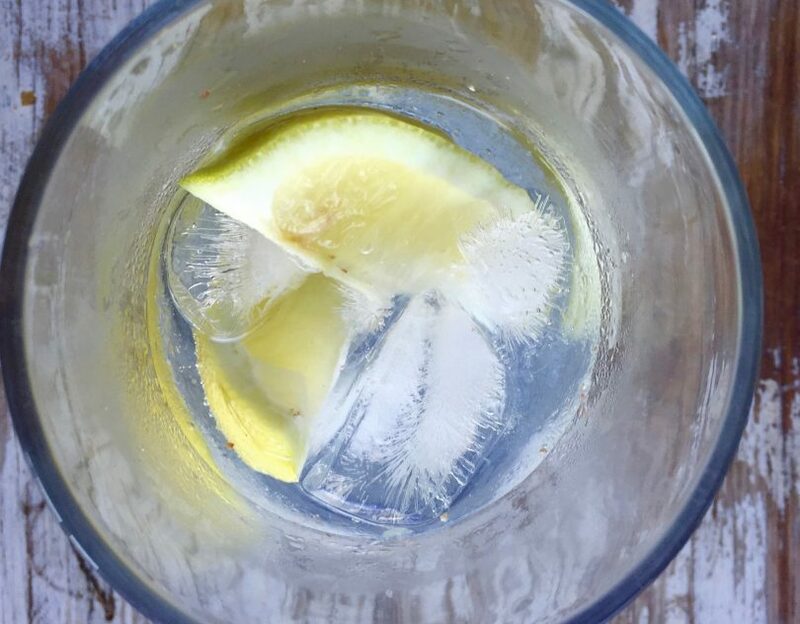 Gavin’s recipe for G&T includes a low sugar, subtle tonic to allow the flavours of the gin to shine. Let the celebrations be-GIN: Local distillery wins Bronze at International Spirits Challenge!